Young fans of the unflappable Sam-I-am will be pleased as punch to discover the plethora of flaps to lift in this 10-page board book version of the Dr. Seuss classic. Sam-I-am does his very best to convince a more finicky Seuss character to try this rather unusual delicacy. Would you? Could you? In a car? Eat them! Eat them! Here they are. could not, in a tree. 10/19/2009 Terry David Johnson said: I love this book, by one of my heros Dr. Seuss. It just doesn't get any better. 9/3/2009 Debbie Funk said: Who doesn't love this book? It is always a favorite for my nieces and nephews too. 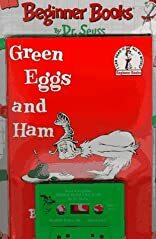 4/2/2009 Gail Fattori said: How can you not love Green Eggs and Ham? 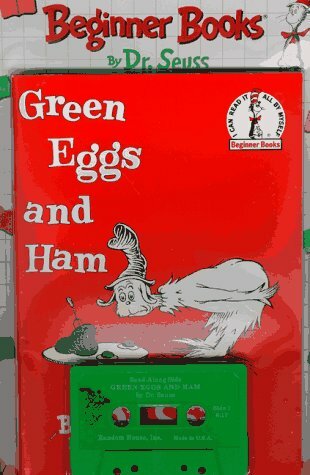 12/2/2008 Sara Joiner said: I loved this book as a child. I knew exactly when my grandfather messed up when he was reading. And my grandmother got a new copy for me when I was eighteen years old.